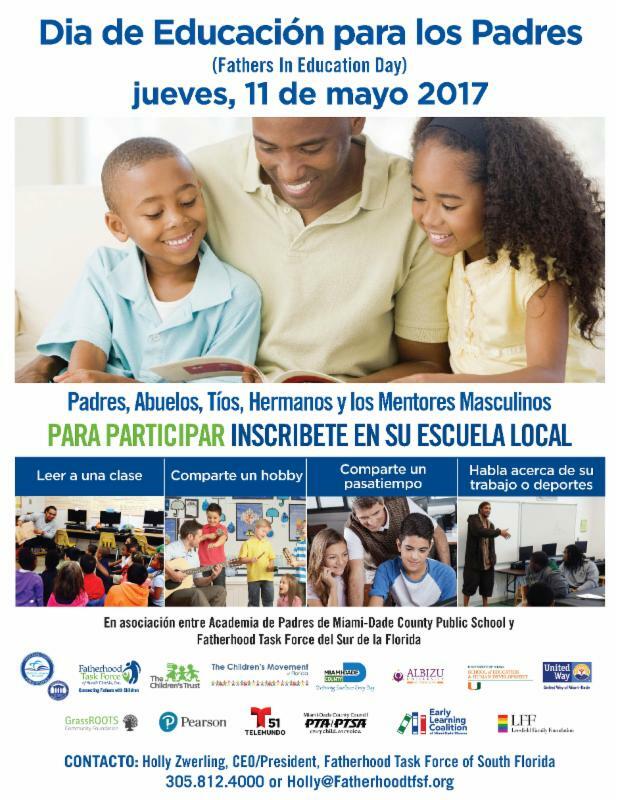 Fathers in Education Day, May 11, 2017 this year is designed to increase father involvement in schools throughout Miami-Dade County by giving fathers more opportunities to influence children’s learning by being present in their school to read, tell stories, share activities and interests. 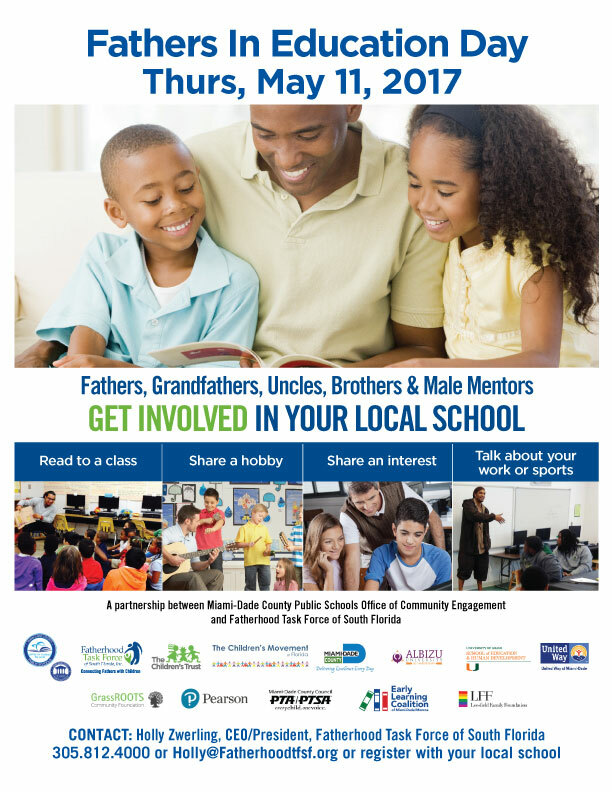 Children’s perception of fathers and men is affected positively when they see fathers take the time to come to their place of learning. Fathers in Education Day was meant to reinforce summer reading, summer connections between fathers and their children.